It was great to get a note recently from the Windy City and hear from Gary Weinstein. 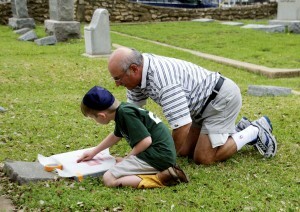 As most of you probably know Gary was president and CEO of the Jewish Federation of Greater Dallas for over a decade. 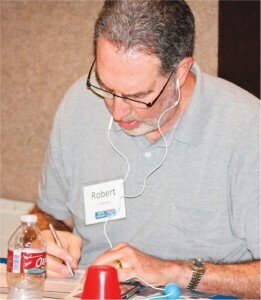 Now he is the vice-president of development and planned giving for the Midwest Region of Birthright Israel. If you knew Gary well, than you know a large portion of his heart is dedicated to Israel, and from June 1-7, he will staffing the first National Birthright Israel Donors mission. He is hopeful that some of his Dallas friends might join him on the mission. The cost is $3,300 per person double occupancy land only. It is being led by Lynda and Conrad Giles. Conrad is the former Council of Jewish Federation’s President, former Detroit Federation Board Chair and currently outgoing Jewish Council for Public Affairs Board Chair. Gary will be the staff member on board. On a personal note, Gary and Miriam bought a house in Deerfield, Ill. Daughter Tori, 18, joined BBYO and is going to University of Illinois next fall. Shai, 15 is a sophomore on the high school swim team. Both are enrolled at the local high school which is 65% Jewish and they are taking Hebrew as part of the high school language requirements. The Weinstein’s oldest daughter, Avia, 19, is attending Carnegie Mellon in Pittsburgh. Brit, 7, is in first grade. The Weinsteins joined the Conservative synagogue, Beth Shalom, in Northbrook, Ill. and are making wonderful new friends. 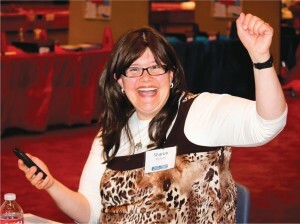 Gary offices at the Jewish Federation in Chicago, and enjoys a wonderful partnership with them. Last December the Birthright Israel Foundation co-sponsored with the Chicago Federation a Young Leadership event with Jimmy Fallon. The event garnered over 2,600 participants. Gary says, “In Chicago alone we estimate over 12,000 Birthright alumni. Nationally, Birthright Israel sent over 30,000 participants last year to Israel from North America and some 52 countries. We raised a total of $50 million from 25,000 donors in North America. However, as great as last year was over 32,000 were placed on a wait list due to a lack of funds. This program is this generation’s transformational phenomena. To find out more about the program, or to visit with Gary, contact him at gary.weinstein@birthrightisrael.org, 469-767-3313 or 312-357-4951. Thanks Gary for the great update! Rabbi Rafi Cohen was officially installed as Congregation Beth Torah’s rabbi in a warm, emotional ceremony during Shabbat services on March 17. Rabbi Cohen became Beth Torah’s spiritual leader last July, but the festive installation weekend was postponed to give the Cohens — who became parents for the second time last fall — the chance to settle into their new home. “This time together and the process of our working together has given us both a chance to learn and better appreciate all that we have going on at Beth Torah and in our greater community,” said Tony Tello, the synagogue president. In a Beth Torah tradition, Rabbi Cohen was presented with the yad, the ceremonial silver pointer used to read the Torah, as a symbol of his responsibility to the congregation. In a unique twist, the honor of presenting the yad went to Rabbi Cohen’s father, Rabbi Alan Cohen, the longtime rabbi at Beth Shalom in Kansas City, MO. Also visiting for the festive weekend were Rabbi Cohen’s mother, Linda, and his friend Jesse Holzer, cantor of the Jacksonville Jewish Center, who led much of the service. Rabbi Cohen is a graduate of Brandeis University, was ordained at the Jewish Theological Seminary in 2009 and served as second rabbi at the Jacksonville Jewish Center before coming to Beth Torah. He and his wife Michele have two sons, Benjamin and Tal. He thanked his father, Cantor Holzer “and the entire congregation for the welcome I’ve had for the past seven months. Academy of Torah In Greater Dallas (ATID) will hold an open house this Sunday at Ann and Nate Levine Academy from 10:15 a.m. to noon. ATID is a Jewish education program open to 11th and 12th graders in the Dallas area. It is under the auspices of the Conservative movement (Congregations Anshai Torah, Beth Torah and Shearith Israel), but all Jewish teens are welcome to participate. The Open House, like all ATID Sundays begins with a breakfast from 10:15 to 10:45 p.m. and will be followed by a Teenage Communication Theatre presentation for teens, while parents can visit with ATID director Gail Herson, a longtime Jewish educator. One of the ATID rabbis will also lead a hot topic discussion. Former and current ATID participants will tell you that the Sunday morning program is time well spent, hanging with fellow Jewish teens and furthering their Jewish education. They also love that there is no homework. For more information, call Gail Herson at 972-740-6751. Thirty minutes before Hebrew School, a student walked into Rabbi Geoffrey Dennis’ office at Congregation Kol Ami. He was ready to earn his Lion of Judah badge. Rabbi Dennis had been testing students for badges through CKA’s new Lion of Judah program since September. The program rewards 3rd to 7th grade students for engaging in in-depth Torah learning beyond the normal scope of Religious School. 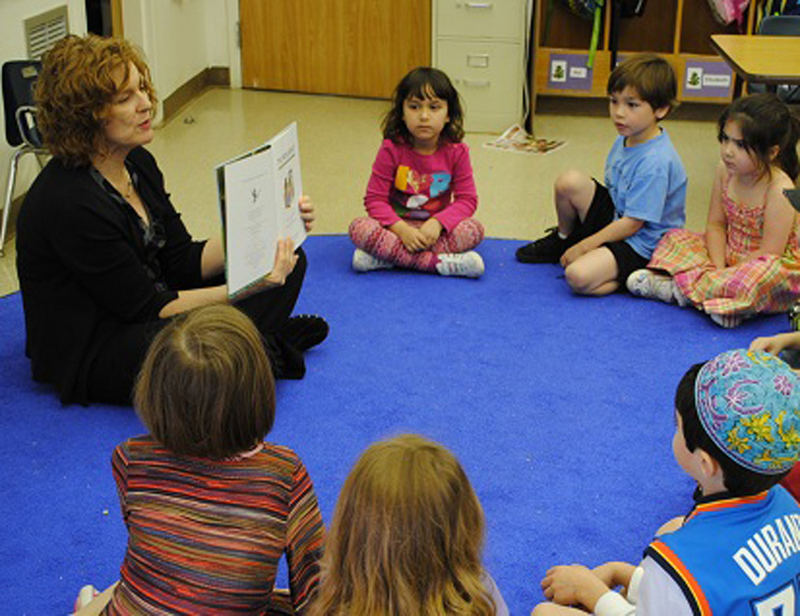 Students earn badges for knowing about and performing mitzvot, for learning about Torah, Mishnah, and Israel, and for learning about Jewish customs. The program includes ten badges the students can earn on their own. The 11th badge — the Lion of Judah award — is special. A student cannot receive this badge until s/he has received all 10 of the other badges. To earn the Lion of Judah, the student must then help three classmates to earn badges as well, thus demonstrating not only proficiency in learning Torah but also proficiency in teaching Torah. The students at CKA embraced the program whole-heartedly and with the competitive spirit one would expect from this age group. Students began earning badges almost immediately after the program was introduced. The students attach their badges to a satin sash they wear at school like a tallit. The sashes will be used as wimples for their B’nai Mitzvah. It takes time to earn them all, though, and the coveted Lion of Judah seemed a long way off for most students. On this day in January, though, the first student, 6th grader Nathan Fripp, was ready to earn his award. He had earned all his badges and assisted his classmates to earn 3 more. Nathan was not the only one, though. Ten minutes after he earned his Lion of Judah, 5th grader Miriam Sand walked into Rabbi Dennis’ office to earn her Lion of Judah award. Congregation Kol Ami was proud to present Nathan and Miriam with their Lion of Judah awards in January. By the spring of their Pre-K year, students are ready for new challenges. Levine Academy has developed a new educational initiative created to provide an easy and successful transition to Kindergarten for their Pre-K students. When given a chance to experience Kindergarten, students are eager to meet the challenge. As “Kindergarteners for the Day,” Pre-K students know that they are in the Kindergarten classrooms with their own cohort, but participating in K activities. Students get the chance to express their knowledge and competency at the Kindergarten level in a safe and nurturing environment with their own peers. During their time as Kindergarteners-in-Training, students also get to meet their future teachers. Debbie Perlstein, Brenda Hirschowitz, Jeresa Darnell and Janet Herson all take the learners by the hand, and lead them to the next level through some of the group and individual activities that they will encounter in Kindergarten. Arthur Wechsler alerted us to the AEPi Brothers lunch bunch gathering for April. It will be held next Wednesday April 4, 11:30 a.m. at Gio’s Deli (12817 Preston Road) in Preston Valley Shopping Center, the Southwest Corner of Preston and 635. It is open to any brother of AEPi. For more information contact Arthur Wechsler at arthur.wechsler@att.net. As I write this week’s column, I’m somewhat depressed — the well-liked and well-respected high school basketball coach at Joshua High School where young Sorter attends was “asked to resign” for no apparent reason. Despite the community’s good fight to keep him, the school board supported that decision. Certainly there is more to life than high school basketball. I highly doubt that in other parts of the world, a departing coach from a small-town school would register on the top-ten worst actions of all times. But it does raise the question of why bad things happen for no reason. You can probably see where this is going. Yom Hashoah — Holocaust Remembrance Day — takes place April 19. Certainly, there is a huge gap between a fired basketball coach and six million Jews who perished in some of the most horrible circumstances imaginable. But such situations, large and small, force us to take stock and take steps to ensure that these things don’t happen again. Through Yom Hashoah we remember each year; and we vow that nothing that heinous should ever happen again. Not forgetting is becoming more and more important each year, especially as the pool of Survivors continues to dwindle. Remembering also becomes hugely important — it seems as though the further we draw away from that dark and terrible time, the more Holocaust naysayers come out of the woodwork. It’s our responsibility to shut these deniers down, and to remember those who suffered in our prayers. There are Yom Hashoah events taking place throughout Tarrant County (which I’ll mention in more detail next week, space permitting). And, in the near term, as you and your families sit down at your Pesach seders, I highly encourage you to talk about the Exodus — and the Holocaust. If you aren’t hosting your own seder or aren’t invited to one, plenty of Tarrant County Jewish organizations are hosting first- and second-night events. On Friday, April 6, Congregation Beth Israel in Colleyville and the Chabads of Arlington and Fort Worth are hosting first-night events. Meanwhile, on Saturday, April 7, Congregation Ahavath Sholom and Beth-El Congregation (Fort Worth) and Beth Shalom (Arlington) are doing the honors. I love that these different synagogues are offering these seders — they’re a great place to gather together with old friends and to meet new community members. If I wasn’t leaving town for my own family seder, you can bet I’d be at both first- and second-night events. Whether your seder is home-prepared or in one of the warm and welcoming synagogues listed above, I hope your Pesach celebration is meaningful. We’re winding down the last few weeks of “Forgotten Gateway: Coming to America Through Galveston Island,” which is taking place at the Fort Worth Museum of Science and History, is winding down. Monday, April 1 is the last day to see this informative exhibit that showcases how a lot of immigrant (Jews and non-Jews) came through Galveston to make their homes in the Lone Star State. Take some time out this weekend (or even on Monday) to view it. Also take a look at the article in this week’s TJP on p. 17 to learn a little more about this exhibit. Appropriately enough, these three celebrate Passover together at the soldier’s ruined plantation, during which some seemingly unpleasant truths are revealed about each of the characters. A $5 discount is available to all members of the Jewish community, so call the Circle Theatre’s box office (817-877-3040) and mention the promo code “FLYER” to get both tickets and your discount. … will take place Wednesday, April 18 and will feature a trip to Dallas, via the TRE, to view the Kennedy exhibit at the Sixth Floor Museum. The group will meet at the Fort Worth Intermodal Transportation Center at 1001 Jones St. at noon, and to keep costs down, lunch will be a do-it-yourself affair. Barbara Rubin tells us there is a Subway sandwich shop at the ITC, if anyone wants to buy lunch to eat on the train. The train is scheduled to return by 4:45 p.m. so you’ll be home in time for dinner (rush hour permitting, of course). Cost of the trip is $15 (and includes train fare, museum admission and bottled water). For information and reservations, have your credit card handy and call Barbara Rubin, 817-927-2736 or Hugh Lamensdorf, 817-738-1428. You can reserve for yourself, too, by logging onto www.bethelfw.org/donations. Mazel tov to Beth El Congregation’s Rabbi Ralph Mecklenburger on the publishing of his new book “Our Religious Brains.” The book is a groundbreaking, accessible look at the implications of cognitive science for religion and theology, intended for laypeople. At last Sunday’s book signing all copies were sold out, but another 60 copies were purchased and are on order. Stay tuned for a review of the book in a future issue. During spring break, Historic Fort Worth organized tours for kids and parents at 11 local pioneer cemeteries. They sold a booklet that had clues and activities for kids to look for at each cemetery. The tour included two African American cemeteries. Also included were Ahavath Sholom’s cemetery, which dates to 1909, and Emanuel Hebrew Rest, which dates to 1879. Hebrew Rest was only open one day. There were docents and tombstone rubbings. Around 50 visitors came. The gates are usually locked, so this was an opportunity for congregants and people who work in the neighborhood to wander in and learn about it. We would like to hear from our readers. Send your news to awsorter@yahoo.com. Around this time of year, I’m frequently asked by parents for ideas about how to make Passover involving and engaging for children. What strikes me as interesting, however, is that no one ever asks me for ideas about how to make Passover involving and engaging ideas for adults. This is very important — the more involved parents are in Passover observances, the more likely children will follow in those footsteps. 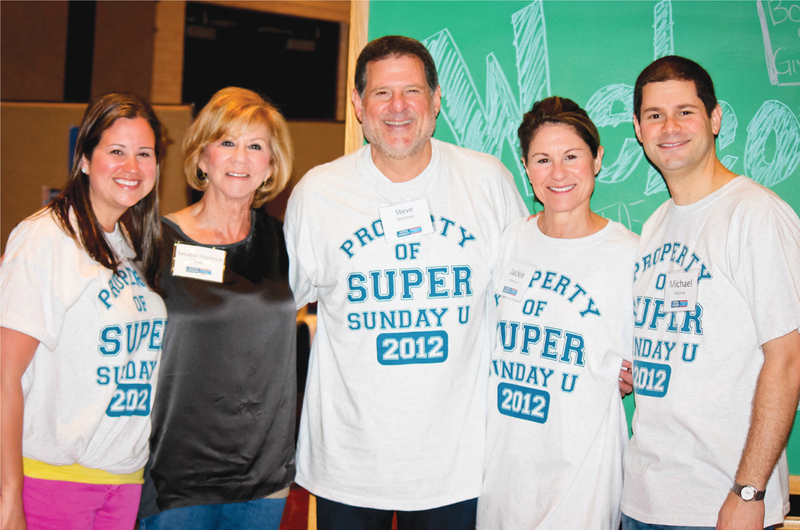 One way to increase involvement is through family traditions. The Seymour family’s Pesach tradition is to have many haggadot on hand. Throughout the seder, different people share ideas from a different seder — and this creates a great deal of discussion. I’ve held the Tanach at previous seders; as the story of Passover is told, I find interesting tidbits to contribute. This leads to some interesting questions: Why does G-d tell Abram that we will be strangers? Why do we need to be enslaved? Do we need to suffer to learn gratitude? Can we teach gratitude without suffering? Then there are families who send preparation assignments to their guests; and the prepared guests can then teach what they’ve learned to other seder participants. Be careful with this, however — the point of the seder is not to force a guest to do something he or she doesn’t want to. Some people are more comfortable observing rather than as direct participants. Another tradition is to discuss the events of the day, and discuss how the ancient passages we recite annually can be applied to those events. There are plenty out there; from the ultra-Orthodox Haredi of Israel to what’s going on with Iran. This is an exercise that is useful for older children (younger ones might be somewhat frightened), and it helps with their understanding of current events. Hopefully these ideas will help as you, as adults, seek ways to increase your own involvement and engagement with Passover. And after this year’s seders come to an end, please share with me what you did so I can include them next year. 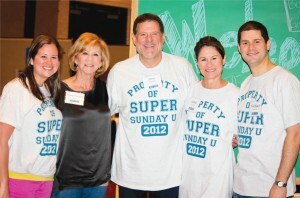 The Jewish Federation of Greater Dallas raised $241,142 at its annual Super Sunday, which took place March 25. Overall, 579 families and individuals contributed, of which 110 were first-time donors, with the overall dollar amount received representing a 9.5 percent increase from the year before. Super Sunday volunteer Sharon Michaels catches the spirit. 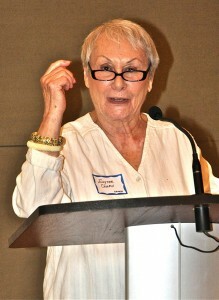 Cynthia Feldman, Lion of Judah Division co-chair and long-time volunteer, makes a call. 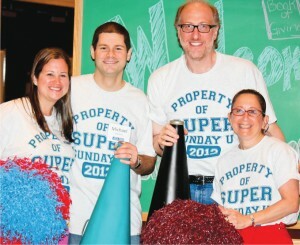 Super Sunday Co-Chairs, Staci Rubin and Michael Waldman with 2012 Campaign Co-Chair, Mark Kreditor and Mariam Shpeen Feist, JFGD chief development officer. 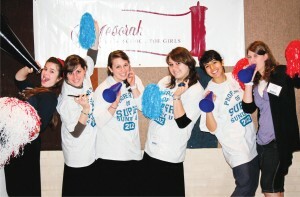 Girls from Mesorah High School added spirit and cheer to the day. I recently returned from a trip to Israel and am still trying to catch my breath. As usual, the short (eight days) time I spent there was a whirlwind of activity, as I attempted to get months worth of visiting and work completed in the space of about a week. It usually leads to a roller-coaster of emotions; from the most joyous experiences to the saddest ones. From the joy of seeing my kids and granddaughter … to the sadness the next morning of joining my mentor’s children (all leading sages) at his gravesite for the yahrzeit. From enjoying a warm get-together of Dallas families now living in Israel, to praying at my personal rebbe’s bedside to be delivered from his coma. From spending time with my family in Petach Tikvah, to praying in the ICU in Shaare Tzedek hospital, between two of the leading sages of the generation who were in critical condition, (one passed while I was flying back home that day). It was especially rewarding to spend time with many young couples and families from Dallas that are now living in Israel, especially the ones who myself and the DATA rabbis were able to help move there. It was wonderful seeing how happy and well-adjusted they were, despite the challenges. A get-together of those families took place at my daughter’s apartment. Another highlight was studying with my twin boys at their respective yeshivos in Jerusalem and Beit Meir, seeing how happy they were and hearing how well they’re doing. It was a very special Shabbos in my old stomping grounds of Bayit Vegan; to be with my mother-in-law and brothers-in-law as well as my children and granddaughter. The holiness of that neighborhood on Shabbos is so palpable you can almost cut it with a knife! May we all merit spending special times in Israel! PARIS (JTA) — When Arie Bensemhoun, a Jewish community leader in Toulouse, woke up Tuesday morning, he thought for a moment that the horrific shooting of three children and a rabbi at a local Jewish school might have been just a bad dream. Despite their grief, Bensemhoun and other Jewish leaders in France lost no time in mobilizing their community after southwestern France went to a scarlet terror alert, the highest possible, shortly after the shooting, which occurred just after 8 a.m. Monday at the Ozar Hatorah school in Toulouse. Working in concert with emergency protocols put in place by the French government in the event of a terrorist attack, security was increased at synagogues and Jewish schools all over France. President Nicolas Sarkozy and Interior Minister Claude Gueant called for a stepped-up police presence at Jewish institutions in France, particularly in the southwest, where the killer was still at large. Guards were being stationed at all religious schools and outside Jewish and Muslim institutions. David Ben Ichou, the social welfare director at the Fonds Social Juif Unifié (FSJU), the country’s main Jewish welfare organization, said the Jewish community in France also has a Jewish community protection service consisting of volunteers who guard Jewish institutions in time of crisis. Jewish community leaders also wasted no time in making sure frightened students at the Ozar Hatorah school and their parents received psychological counseling and help, according to Ben Ichou. The government automatically deploys counselors to schools after such an event, but the students and families at Ozar Hatorah also will have the chance to speak with Jewish social workers, he said. A manhunt involving dozens of French police and anti-terrorism investigators was underway Tuesday for the gunman with a video camera around his neck who pulled up on a black Yamaha motorbike and fatally shot three Jewish children and a teacher on Monday. The bodies of at least three of the victims were flown to Israel for burial Tuesday, while schoolchildren all over France stood and paused for a moment of silence Tuesday morning to remember them. Sarkozy, who suspended his presidential campaign until Wednesday and flew to Toulouse after the attack, called the tragedy “obviously anti-Semitic,” and the interior minister called for heightened security at all Jewish schools and institutions in France. France, home to Europe’s largest Jewish community, has an estimated 600,000 Jews. Nicole Yardeni, one of the leaders of the Toulouse area branch of the CRIF, France’s main Jewish umbrella organization, said she was overwhelmed by the outpouring of support after the shooting. The Ozar Hatorah School re-opened Wednesday and Yardeni said there will be counselors and social workers inside to help the children and their parents. Police have been stationed outside the school since Monday’s shooting and will remain until the killer is found, Yardeni said. 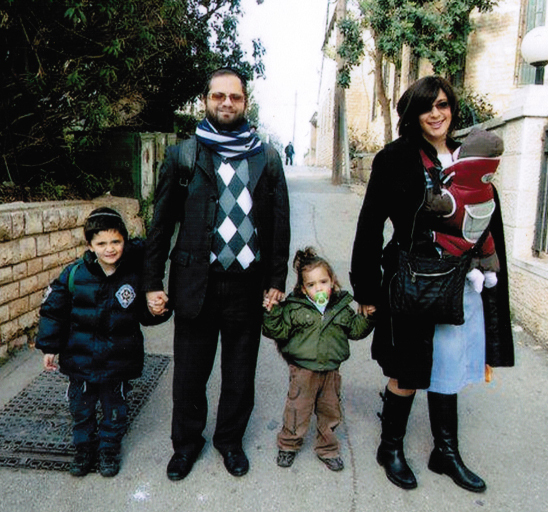 Yardeni’s son attended Ozar Hatorah a few years ago and she, like many in the roughly 20,000 to 30,000-strong Jewish community in Toulouse, knew parents and teachers at the school. She said that the Paris-born rabbi killed in the attack, Jonathan Sandler, 30, was an enormously well-liked teacher who had just begun work at the school in July. Not everyone knew that he was an alumnus of Ozar Hatorah and, after 10 years of study and training in Israel, had decided to return. “He wanted to give back to this school who had given him so much,” Yardeni said. She spoke to reporters through tears on Monday after viewing the surveillance tape of the shooting. Witnesses described the gunman as “calm” and “determined” as he pulled up to the school, dismounted without taking off his helmet, and started shooting. He first shot Sandler along with his two young sons, Aryeh and Gavriel, as they waited for a minibus to take them to their nursery. When the first of the killer’s two guns jammed, he reached for a second and continued shooting as he chased pupils into the schoolyard, witnesses said. 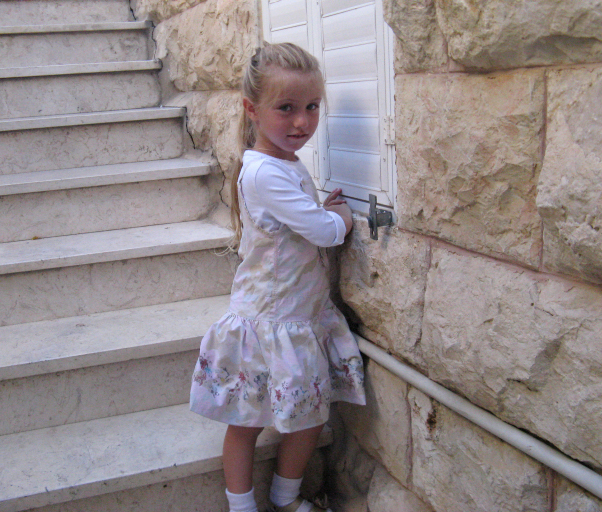 He cornered 7-year-old Miriam Monsonego, the daughter of school principal Yaacov Monsonego, and shot her in the head. He also shot a 17-year-old boy, who remained hospitalized in critical condition Tuesday. Police say the killer used the same weapon used in the shooting last week of the three French paratroopers of North African and Caribbean origin in the Toulouse area. Gueant said Tuesday that surveillance tapes at the school showed the killer wore a video camera around his neck but said they do not yet know if he was recording his own carnage. However, remarks by European Union foreign policy chief Catherine Ashton about the attack angered some. Israeli Foreign Minister Avigdor Liberman called the statements “inappropriate” and asked Ashton to re-examine and retract them. Netanyahu and Defense Minister Ehud Barak also criticized Ashton. On Monday, shortly after news of the attacks in France, the Jewish Community Relations Council and the North Texas/Oklahoma Regional office sent a memorandum via e-mail to North Texas Jewish leadership outlining precautions to be taken. JCRC Executive Director Marlene Gorin reiterated to the TJP on Tuesday that the agency has coordinated with both the police department and the ADL. “The security of the community is our top priority. When incidents like this unfortunately occur we immediately contact and connect with local law enforcement officials and the ADL in an effort to assess the situation and make sure we are all on the same page.” Roberta Clark, community director for the ADL’s North Texas Oklahoma regional office also stressed the importance of preparedness in advance of a crisis. While sensitive to the fact that talking about security often makes folks feel uneasy or scared, it’s necessary in order to have the appropriate response when the need occurs. “We don’t want people to be scared we want them to be prepared, and when they are prepared they know what to do, they don’t respond out of fear,” Clark said. “Organizations need to have relationships with their law enforcement officials before something happens so that they are not walking into the building without knowing the people or the facilities,” she added. For more information on security awareness, visit adl.org/security or the Jewish Federations of North America-affiliated Secure Community Network (SCN) at www.scnus.org. SCN partners with the U.S. Department of Homeland Security and 56 major Jewish organizations and provides free security training. SCN’s 24/7 online training includes information on how to respond to an active shooter, security awareness, how to handle a suspicious package, and how to answer a bomb call. Sharon Wisch-Ray contributed to this report. We are nearing the end of our 13 principle series! This week, we’ll reflect on the 12th principle. “We believe that the Messiah will be greater than any other king or ruler who has ever lived. This has been predicted by every prophet from Moses to Malachi. “One who doubts or minimizes this, denies the Torah itself. For the Messiah is mentioned both in the account of Balaam (Num. 24:7) and at the end of Deuteronomy (30:3). In another section of his Commentary, Maimonides expounds at great length what is meant to transpire in the time of Messiah. (Sanhedrin 10:1). Among other things, he writes the Jews will regain complete independence from the gentile world, and all Jews will return to Israel. The Messiah will be a very great king whose government will be in Zion. He will achieve great fame and his reputation among the nations will be even greater than that of King Solomon. His great righteousness and the wonders he will bring about will cause all peoples to make peace with him and all lands to serve him. There is a dispute in the Talmud what will be the nature of the Messianic period; Maimonides, in his Code and Commentary, is of the opinion that nothing supernatural or miraculous, per se, will transpire during the time of Messiah. Nachmanides, with the Kabbalists all following his footsteps, strongly dispute Maimonides’ opinion and side with the school of thought that the Messianic times will be profoundly different in a spiritual and supernatural way than current times. They maintain that not only physical war will cease. The spiritual, internal war will also desist with the “slaughtering of the evil inclination” within us. We will no longer espouse an internal struggle between good and evil, physicality versus spirituality, but will become a completely spiritual people. As Shabbat is a day of complete rest after six days of toil, the Messianic times will be at the end of the 6,000 years of world history, the seventh millennium being an extended time of Shabbat rest from all evil. Many thanks to those of you who responded to my column from a couple of weeks ago (and again, I will reach out to you once again, now that things are settled). The trip to the West Coast went well — my mom is doing great. Also, younger Sorter’s knee surgery seems to have gone well. This is youth for you — after we got home on Thursday from his scoping, he decided to ask a friend over. If it was me, I’d be out of commission for at least three days. The doctor is very pleased with his progress, so the chances are pretty good that, this time next month, he’ll be back on the basketball court. Anyway, I want to thank Sharon Wisch-Ray for taking up the bulk of my work while I was slumming in California and in surgery center corridors. Sharon’s had a lot going on, and I’m grateful for her assistance. Now, having been back for about a week, I’m pleased to announce that I’ll be traveling again over Passover to my in-laws. If you have a similar trip planned or even something unique and unusual you have on tap for your seder, let me know — as always, I’m at awsorter@yahoo.com. At 6 p.m. on Friday, March 23, Congregation Ahavath Shalom (4050 S. Hulen) will incorporate a Jewish healing service within its Kabbalat Shabbat worship. According to what I received, this is being directed to all who are in need of emotional, physical and spiritual healing, and both Rabbi Andrew Bloom and Rabbi Gary Perras will be in evidence. All of us can use G-d’s help in healing our pain, whether physical or emotional. If you’re not committed elsewhere on Friday, plan to attend that service. If you haven’t made your reservations yet for this year’s senior seder (hosted by Jewish Family Services of Fort Worth), please do so. The event starts at 11:30 a.m. on Thursday, March 29 at Beth-El Congregation, 4900 Briarhaven Rd. For more information, call 817-569-0898. No, this isn’t the start of some weird joke. Rather, it’s information from Jim and Elaine Stanton, who tell us that the boomers group will be attending, en masse, Circle Theatre’s production of “The Whipping Man,” at 8 p.m., Saturday, March 31 at 230 W. Fourth St. in Fort Worth. The premise is interesting — the play (written by Matthew Lopez) takes place in post-Civil war Virginia, and details a relationship between a Jewish Confederate soldier and his two freed slaves (whom are observant Jews). Appropriately enough, these three celebrate Passover together at the soldier’s ruined plantation, during which some seemingly unpleasant truths are revealed about each of the characters. The Stantons tell us that Rabbi Ralph Mecklenburger will be on hand after the performance to lead a discussion about the play. A $5 discount is available to all members of the Jewish community after March 25, so long as you call the Circle Theatre’s box office (817-877-3040) and mention the promo code “FLYER” to the nice person on the other end of the line. If so, consider participating in the annual Jewish Community Blood Drive, which will take place this year from 9:30 a.m. to 12:30 p.m. on Sunday, May 6 in the library at Beth-El Congregation, 4900 Briarhaven Rd. in Fort Worth. Though walk-ins won’t be turned away, it’s a good idea to make a reservation. You can do so by calling Dan Halpern at 817- 426-3239. Incidentally, you can make blood donations a family “mitzvah” project — youth age 16 and 17 can donate blood with parental permission (parents need to sign a consent form). Whether you’re 16 or 116, though, you need to present a photo ID to donate. Barbara Rubin tells us that the March 14 Daytimers get-together was a rousing success, as Chandler Smith talked about the history of swing dancing, evoking a lot of memories from those present. Afterward, Smith paired with Adrea Deems to dance for the group. Emcee Edythe Cohen welcomes the Daytimers group to the program. The connections in the crows were many — David and Idelle Luskey remembered first taking dancing lessons from Smith’s father. And Adrea and Eddie Deems, who had also danced professionally, got out on the floor with the dancers. It was a delightful afternoon for everyone. The next Daytimers’ event will involve a trip to Dallas, via the TRE, to view the Kennedy exhibit at the Sixth Floor Museum. That will take place Wednesday, April 18. For information and reservations, have your credit card handy and call Barbara Rubin, 817-927-2736 or Hugh Lamensdorf, 817-738-1428. You can reserve for yourself, too, by logging onto www.bethelfw.org/donations. One of the many challenges for our children (and many times, ourselves) is how to treat people we don’t like. As adults, we know how to be courteous to individuals of which we aren’t too fond — or at least, we should know how to be courteous to them. But it’s more difficult for children. All of us have been through the experience of having to break up fights (verbal and sometimes, sadly, physical) between children who don’t get along. Perhaps unsurprisingly, Judaism has definite ideas about how to treat our enemies. Very simply, we’re charged to act with compassion toward enemies, even if we can’t stand them. We’re not charged with loving our enemies or even hating them. Rather, we’re required to act fairly toward them. In the Book of Exodus (23:5) it says that “if you see your enemy’s donkey lying down under its burden and would refrain from raising it, you must nevertheless raise it with him.” In other words, not liking the person doesn’t mean ignoring his poor animal. Two donkey drivers who despised each other were walking on a road when the donkey of one lay down under its burden. The other donkey driver saw this, and passed on, before remembering what was written in the Torah. So he returned, and despite his dislike of the first driver, helped in the unloading of goods from the donkey’s back, talking in the meantime, suggesting the first driver release a little here, pull up a little there. After their efforts, the two found and entered an inn, ate and drank together, and became fast friends. This is a great story, but let’s examine it a little more deeply. The midrash says these two became friends because one of them kept what is written in the Torah. Certainly that’s correct, but keeping the commandment to show compassion toward enemies is just the beginning. What really led to this friendship was that these two donkey drivers talked while they worked together for a common cause. In doing so, they became friends. This is not to suggest that you tell your children to make friends with every single person who crosses their paths — sometimes people’s personalities just don’t mesh well. But by suggesting your children show courtesy and compassion to those they may not like (and doing the same yourself), you support a Jewish commandment and teach them valuable skills that will serve them well throughout their lives. If you read this column regularly, then you already know that I am a fan of the stellar education provided by our area’s Jewish day schools. 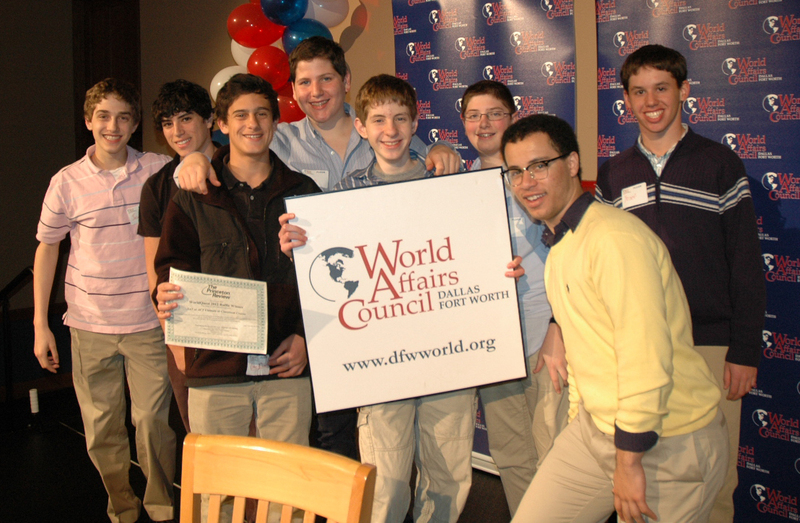 Recently, two teams of Yavneh students competed in the 8th Annual 2012 Academic World Quest Competition, held at the University of Texas at Arlington. The Yavneh competitors were all alumni of either Akiba Academy or Levine Academy. Academic WorldQuest is a Flagship Program of the World Affairs Council system. The game was invented by the Charlotte Council and is now widely played at the adult and high school levels around the country. It is a team game testing competitors’ knowledge of international affairs, geography, history and culture. Levine alumnus Jordan Cope formed the first WorldQuest team last year during his freshman year. Cope is a veteran competitor when it comes to geography, winning the Levine Middle School geography bee several times and placing as high as 11th in the National Geographic State Geography Bee. This year, Cope, who is a member of the World Affairs Council, drafted a second team. Out of 80 teams competing in this year’s World Quest competition, one Yavneh team earned a 12th place finish. Yavneh Team 1 consisted of Jordan Cope (Levine alumnus) Jason Epstein (Akiba alumnus), Yosef Presburger (Levine Alumnus) and Adam Steinbrecher (Akiba alumnus). Yavneh Team 2 consisted of Austin Jacoby (Levine alumnus), Scott Lacritz (Akiba alumnus), Gary Levine (Levine alumnus) and Mika Stein (Levine alumnus). Mazel tov to all the competitors. Put on your dancing shoes and join Temple Shalom and its Sisterhood for a magical evening honoring Jill Weinberg, the 2012 Woman of Valor! “Life is a Dance” is the theme for this year’s big event in the Temple’s newly renovated Radnitz Hall at 7 p.m. this Saturday, March 24. Chosen for her many years of dedication and service to the Dallas community and Temple Shalom, Jill has chaired various committees and served as both president and vice-president of the Sisterhood, while being very involved with the Plano Chamber of Commerce. She currently serves as area director of the Women of Reform Judaism Southwest District Executive Committee. Jill, originally from Chicago, performed in musical theater singing, dancing and acting for over 20 years. In 2001, she and her husband, Bruce, moved to Dallas with kids in tow to launch a new career, and here began her love of Temple Shalom. The event includes dinner, dancing, and a raffle filled with treasures. Dance to the music of Pardi Gras, a band from Fort Worth known for getting everyone on the dance floor! Proceeds of the event will benefit youth scholarships and the Wounded Warrior Project. Tickets are $60 and can be purchased directly from the Temple Shalom website (www.templeshalomdallas.org) or through Facebook. Greenhill School has a Volunteer Day once a year where students visit and give their time to more than 25 different organizations. 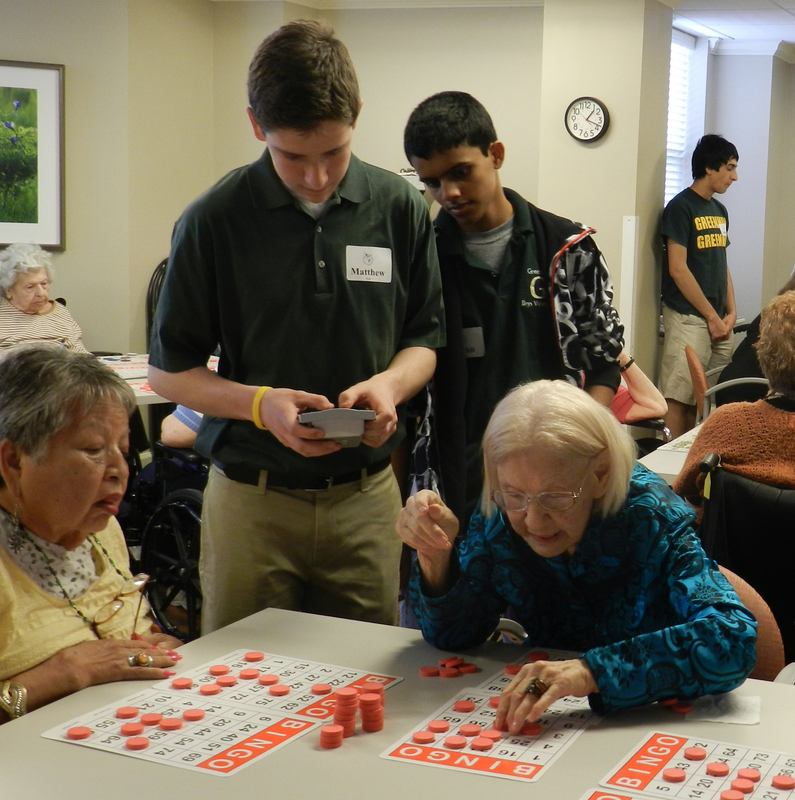 This year, 11 students and two teachers from Greenhill visited The Legacy at Preston Hollow, a family service-oriented community, for the first time. The students spent the day delivering daily calendars and menus to each resident, distributing potted flowers throughout the community and participating in a heated game of Bingo with the residents. Grapefruit, grapefruit every where along with pallets of fresh fruits and vegetables in the Dan Morton campus warehouse was the destination of Rabbinical Association of Greater Dallas (RAGD) members on Feb. 14. Rabbis Murray Berger, Andrew Paley, Shawn Zell and Brian Zimmerman along with Shirley Rovinsky and Roy Levin tackled 12 pallets of grapefruit repackaging the fruit into bags each containing four or five grapefruit. This equates to 8,086 pounds or four tons of grapefruit which provided 6,738 meals. One of the goals of the Rabbinic Association is to foster united action among rabbis, with due regard for the autonomy of the individual rabbi and of the various rabbinic movements. Another goal is, to encourage and promote rabbinic growth and development through continued and expanded opportunities for study and communal service. Officers of the RAGD are: Rabbis Andrew Paley, president; Stefan Weinberg and Hanan Schlesinger, vice-presidents; and Ari Perl, past president. The Rabbinic Association of Greater Dallas receives an allocation from the Jewish Federation of Greater Dallas. Students 4 Students invites the community to the Monday, April 2 screening of “3 Points” at 7 p.m. at the Angelika Film Center at 75/Mockingbird Lane. Proceeds from the screening, which details NBA All Star, Atlanta Hawk Tracy McGrady’s humanitarian efforts in the Darfur region of the Sudan, including his 2007 visits to refugee camps in the region, and other fundraising efforts, will support S4S’ 2011-2012 campaign to build a school in Darfur. Yavneh’s S4S co-founders Dalit Agronin ‘12, Jori Epstein ‘12 and Rachel Siegel ‘13 have teamed up with the Jewish World Watch Sister Schools Project, and hope to raise a minimum of $17,000 to begin construction on the project. For sponsorship and ticket sales, email s4sdarfur@gmail.com or call 972.333.9541.